Dr. Eric was born in Hong Kong. Feel free to call him “Dr. Eric.” If you insist, the “e” in Cheung is silent. His family immigrated to the US in 1995. He went to 8th grade and high school in San Diego. In 2003, he finished his undergraduate degree with honors from University of California San Diego in Bioengineering and a minor in Psychology. 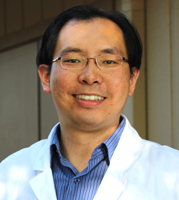 In 2008, Dr. Eric received his Doctoral degree from University of California Los Angeles (UCLA). He was working in Bakersfield and Delano for five years and a year in Los Angeles before choosing Atwater to have his practice. During his career, he received the Fellowship from Academy of General Dentistry. Committing to the profession and community are two of Dr. Eric's focuses. Dr. Eric has been a peer reviewer for the Journal of Academy of General Dentistry for the last couple years. The journal published scientific articles from scientists/dentists all over the world. Topics range from different techniques, dental materials, large scale population studies, case studies among different divisions in dentistry such as implant, root canal, oral health and as well as the overall body health and much more. Before a scientific paper is published, Dr. Eric reviews the article and gives his opinions and critiques on that dental topic. Once he approves the article, the journal publishes the article for other dentists to read. Dr. Eric also participates in clinical research. Recently, the research group provided Dr Eric a cavity detection aid called Spectra to compare with just the mirror and explorer. Spectra has been out in the market since 2012. The explorer can tells how deep the cavity is, but Spectra shines a fluorescent light similar to Doppler Radar to detect how much bacteria is growing. An orange, yellow or red reading indicates high bacteria activities. The idea is to detect cavity early, so we educate our patients and keep the cavity small, so we do not have to open the tooth. We will update after the research study is complete. Being a Fellow means life long learning. You may ask, has the doctor learn enough? There will always be newer, longer lasting and more natural looking products and simpler and more predictable ways to do things less invasively to save time and lower fee. We always have to balance technology and traditional method which with a good tracking record. Dr. Eric attends different continued education courses year round for you. Atwater Family Dental is a proud member of the Atwater Chamber of Commerce. I am glad to work with many good businesses in the central valley. Weekly emails keep me up to date different local events . It is not uncommon to see some of you there. Please join the Chamber and support Atwater. Dr. Eric also sponsors several local youth activities including sports teams, music department, high school ROP event, Children's Miracle Network Hospitals, and other volunteer events such as CDA Cares. With an emphasis on higher education, Dr. Eric wants to inspire young people to choose the right career path and contribute back to the community. Besides a healthy mouth, I want your family to grow and be successful. Even though Atwater is in our name, we provide service to people including Merced, Livingston, Los Banos, Turlock, Chowchilla, Madera, Fresno, Modesto, Lodi, Stockton, Gustine, Hilmar, and even as far as the Bay Area. Dr. Eric was married to his wife in 2009. They have a daughter who is three years old. They live in Atwater and are looking into buying a house in Atwater in early 2016. Dr. Eric enjoys nature and loves to travel. The landscape in Yosemite National Park is one of his favorite places. He also enjoys the glacier and wildlife in Alaska and the clear water and warm sands in Hawaii. Choose Dr. Eric, for all your dental needs. Schedule your next dental appointment now. Give us a call today, you deserve it, 209.358.0800. Or click the TEXT HERE link to send us a text. Or fill in your information and we will call you to schedule your next appointment. I am very fortunate to work with a group of well knowledgable team members. Thank you for all the hard work you put into Atwater Family Dental. Kathy is an RDA at Atwater Family Dental. 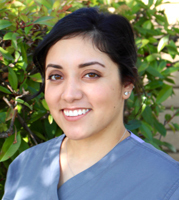 She has been a licensed RDA for 5 years since graduating from the MJC Dental Assisting Program in 2011. She enjoys meeting and interacting with her patients and seeing them smile. She is an avid sports fan, loves to read and enjoys spending time with her family especially her little nephew. 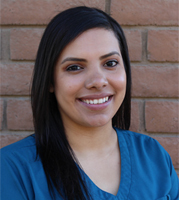 Carolina is a Dental Assistant, She has been in the Dental field for 6 years, and she joined our office in 2017. When she is not at work, she is enjoying quality time with her husband and 2 boys. Hilda is our front office insurance coordinator with over 15 years of dental experience she will gladly help you with any insurance questions you may have. She lives in Atwater with her husband and two children ages 9 & 7 that keep her busy with soccer and cheer. 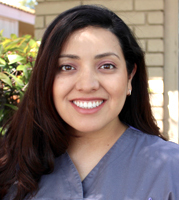 Bernice has been with Atwater Family Dental for 5 years. She takes pride in her work and enjoys working with people. Her biggest excitements are to see the transformation in a person's smile and confidence. When she is not in the office, she enjoys spending time with her family, attending sporting events and enjoys college football.